The method of celebrating Hanuman Jayanti varies from region to region and it normally depends upon the age-old traditions and customs prevailing in that part of India. Hence, no fixed procedure of celebrating Hanuman Jayanti can be prescribed, however, visiting a Hanuman Mandir and praying or chanting any Ishta Mantra or Prarthana dedicated to Hanuman is one of the simplest ways to observe Hanuman Jayanti. This year Chaitra Purnima or the Full Moon Day of the Hindu Month of Chaitra falls on the 18th / 19th of April 2019 and the normally accepted timings as per the Hindu Panchang for the Purnima are 7.26 PM on the 18th to 4.41 PM on the 19th of April. This period is considered to be most auspicious for the worship of Hanuman or for starting any Mantra Sadhana or Prayog dedicated to him. All kinds of Mantra Sadhanas and Prayogs, including those related to the destruction of black magic, enemies, ghosts and evil spirits, removal of diseases, fear, worries and depression and also for the gain of abundance, prosperity, wealth and money and Vashikaran and Akarshan can be started during this period. Hanuman is one of the most invoked and important deities in all kinds of Shabar Mantra Sadhanas and Experiments, hence starting any Shabar Sadhana that invokes Hanuman can also be most beneficial. 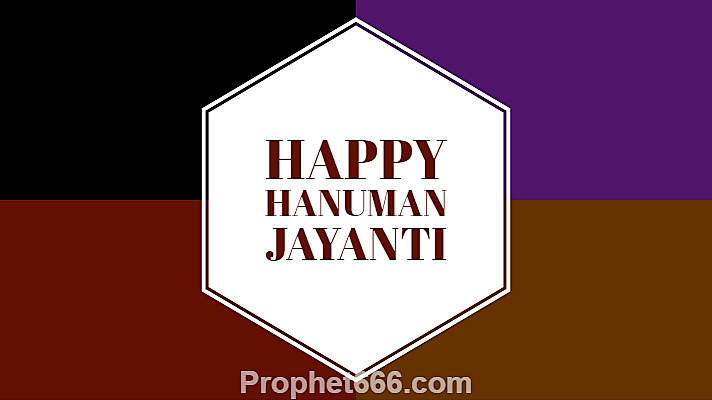 Hanuman Symbolizes strength, vitality and positive energy, hence, if one takes a Sankalp or Pledge on the day of Hanuman Jayanti to begin breathing out everything negative, regressive and harmful and breathing in strength, vitality and positive energy, it will go a long way in changing your life for the better. This is one of the simplest and best methods of removing depression, anxiety, fear and phobia from your mind and healing it and making it fresh and vibrant. हनुमत्कल्प ---देवी पार्वती के पूछने पर महादेव ने कहा-हे देवि!हनुमतसाधना महा पवित्र,पाप नाशक ,गोपनीय और महा सिद्धि दायक है .इस साधना से तीनो लोकों में विजय पायी जा सकती है .अर्जुन ने इसी मन्त्र की साधना करके चराचर जगत पर विजय प्राप्त की थी .हनुमान का द्वादशाक्षर मन्त्र है --हं हनुमते रुद्रात्मकाय हुं फट. अर्जुन को श्रीकृष्ण ने यही मन्त्र प्रदान किया था .एक लाख जप पूरा होने पर हनुमान साधक पर प्रसन्न होते हैं .